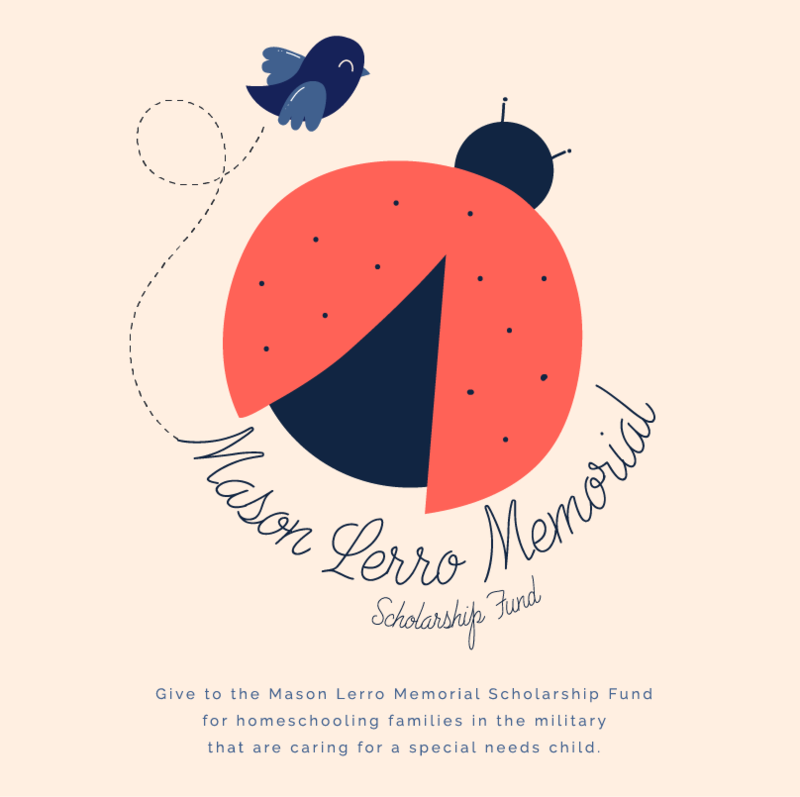 Thank you for applying for the Mason Lerro Memorial Scholarship. This scholarship was founded in 2018 in memory of Mason. Recipients of this scholarship are chosen by a committee of Mason's family members who understand homeschooling, military life and raising special needs students. Deadline for applications is December 16 (Mason's Birth Day). Recipients of the scholarship will be announced and awarded by March 3. (Mason's Graduation Day) If you would like to read more about Mason and his family. Click HERE. Mother Father Legal Guardian You must be the mother, father, or legal guardian of the special needs student for whom you are applying. Mother Father Legal Guardian You must be the mother, father, or legal guardian of the special needs student in which you are applying. If all four of these requirements are not met, you are not eligible to apply for this scholarship. Families must be actively homeschooling, active/veteran military, and have a student in the home with special needs. Thank you. We have a Special Needs student(s). The Special Needs student(s) live in our home and we are financially responsible for the student(s). We are currently homeschooling our Special Needs Student(s). We are in the military (active and/or honorably discharged). Filed a Notice of Intent to Homeschool with the County/Board of Education. Registered/enrolled with an "umbrella/cover" school. I do not have to register in my state. This is primarily about your homeschooling. There will be additional questions to tell us more about your special needs student(s). I am ACTIVE Military. I am an Honorably Discharged Veteran. What is the name of the Student in which you are applying? Tell us about your student...and why you are applying for this scholarship. Please include your student's "story" and as much detail as possible. Please upload a picture of your student or your student with your family.